Over the last few months, the OneSignal has grown considerably. Our newly expanded engineering team has been working hard to improve OneSignal's performance, ease-of-use, and capabilities. OneSignal has always been fast at delivering notifications, but now we've taken it to a new level 🚀. Over the last few months, our team has been working on "Project Lightspeed". We've made amazing progress so far, with clients reaching delivery speeds peak as high as 350,000 per second. Lightspeed is not generally available -- you can reach out to our business team if you have a popular app where very fast delivery speed is a requirement. 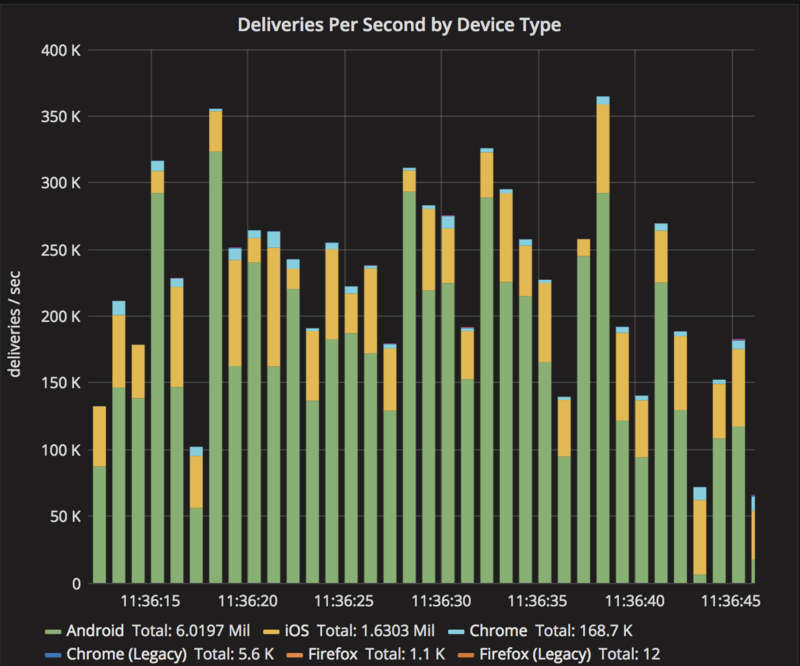 However, many of the improvements we've made for Lightspeed have also dramatically increased our delivery speeds for all clients. This new feature shows you a count of how many users are turning off notifications for your app in their device settings. The number increases when users open your app and their notification permission has changed to "Disabled". This feature is separate from "Unsubscribed" users. "Unsubscribed" users are detected when you send a notification to users that have uninstalled your app -- but there are countless reasons why this might have happened, and it can be delayed by days, or sometimes not even detected at all. In contrast, tracking Revoked Users is the perfect way to analyze whether your notifications are having a positive or negative effect. This feature is currently only available for Mobile Push Notifications and Email. It will be coming soon for Web Push. You can now export a list of your users and their data from the OneSignal dashboard. You can even create a segment and export only the users in that segment. The export file will be sent your email as a CSV. 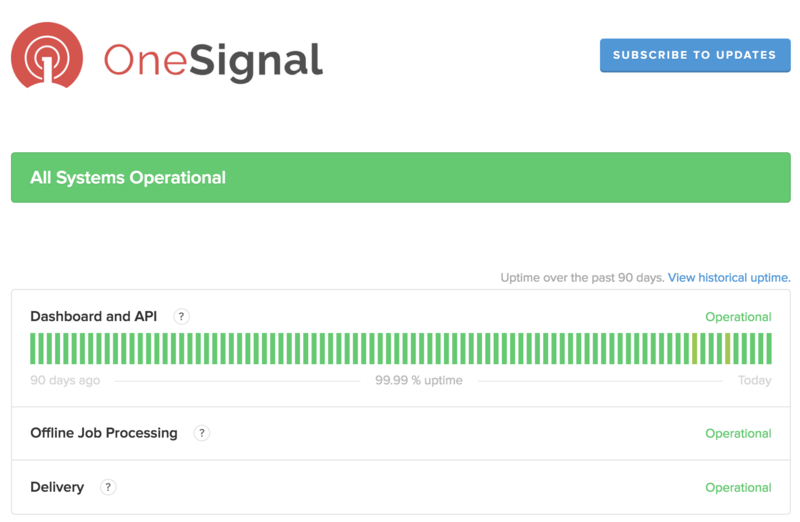 We've introduced a live status page to provide accurate details on OneSignal's uptime, service disruptions, or any other issues clients should be aware of. We've updated our SDKs, APIs, and documentation to help clients meet GDPR or other legal requirements. For the latest updates, please take a look at our SDK and Documentation updates blog post. On behalf of everyone on the team, we want to thank you for your support. 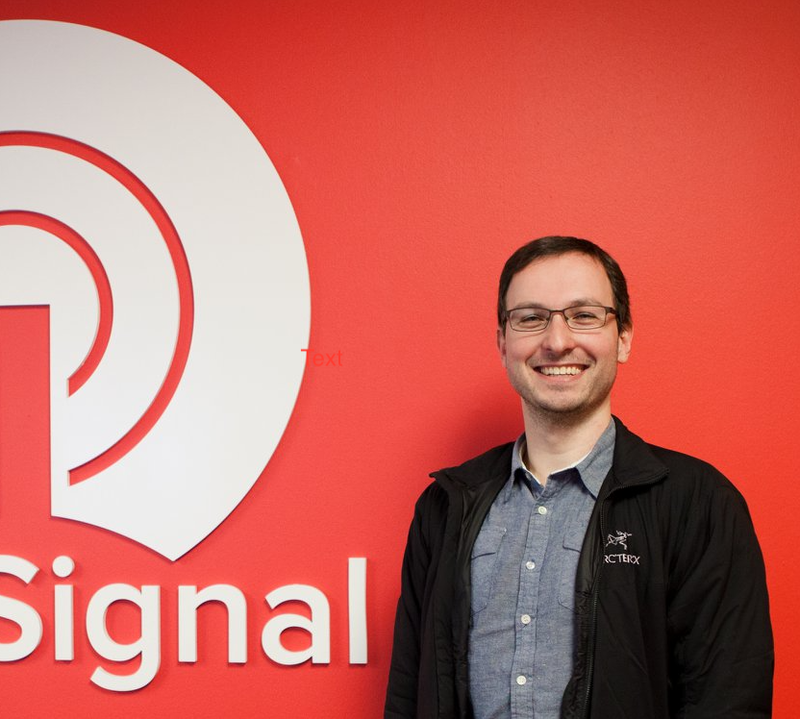 Your success is our focus and we're excited to keep improving OneSignal more each day.